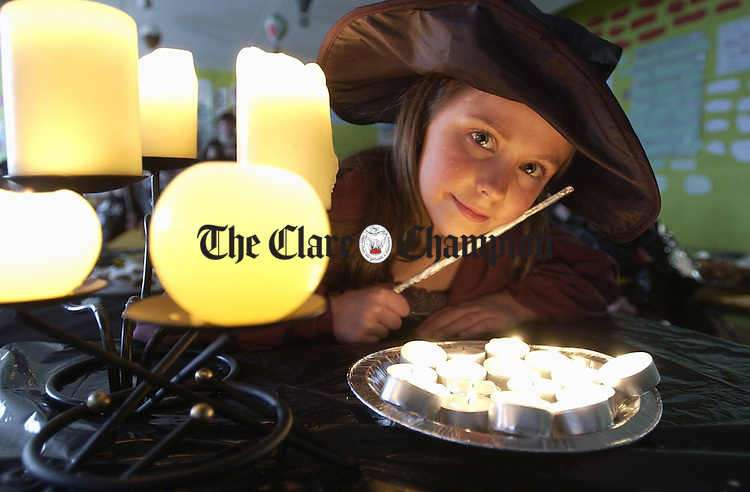 Pupil Jade Cooley getting into the spirit of things at a photocall to promote the Harry Potter day in Scoil Chriost Ri in Cloughleigh during the Summer. The event is to raise awareness and funds for the Cystic Fibrosis Association as part of Ciara's Crusade in the Sun Newspaper. Photograph by John Kelly.